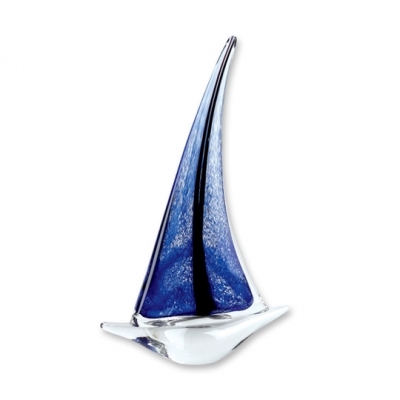 The Art Glass Sailboat is wonderful piece for the nautical lover. The piece features a clear base with blue sails. This piece does not include engraving. *This award allows for a maximum of 0 lines of text.